Hello Fellow book lovers, I am back with my latest book review on an awesome Middle-grade Book series. The Series is title Girls who code. Its a series of young girls who like Web Coding and it's for 8-12yrs old. 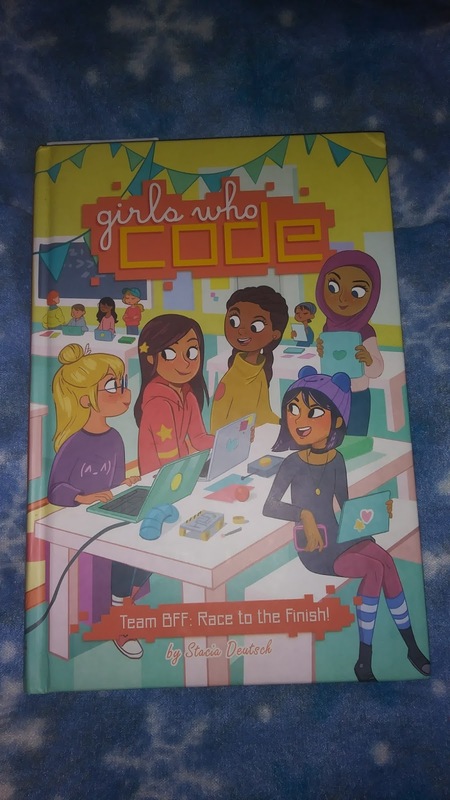 I received a finished copy of Book two in Girls who code Series, title Team Bff: Race to the finish along with an activity book to go with the series from Penguin random house in exchange for an honest review. So huge thank you to them for the chance to read these awesome books for middle graders. So let's get to the Summary and my thoughts on the book. Book two Team Bff Race to the finish is about Sophia Torres, who is an athlete, an “A” Student and has a hobby of Coding things like websites. Sophia lives with her three sisters, Mother, father and Grandmother. She is also held very responsible for taking care of things at home along with her siblings. 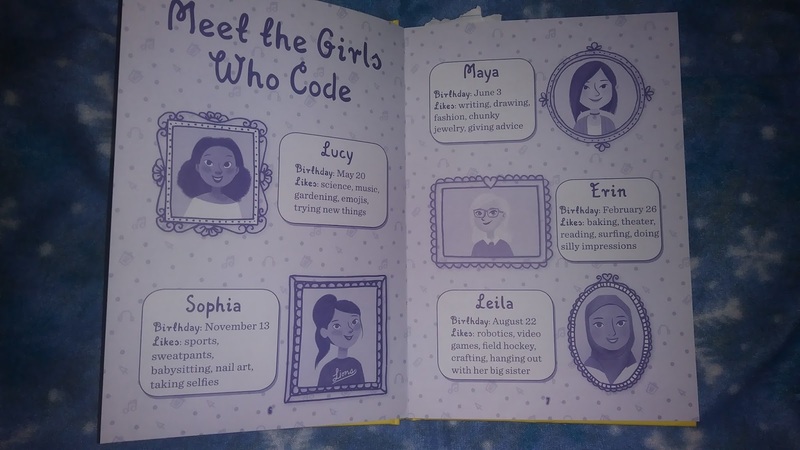 So Sophia and her coding friends Leila, Lucy, Maya, and Erin decide to enter this thing called the Hackathon. which is an event, where they will spend hours coding a robot to actually move by using a computer motherboard. But then something happens and Sophia might not make it to Hackathon which will disqualify the entire group. In order to find out how the girls help Sofia, you will need to buy this book and read it. 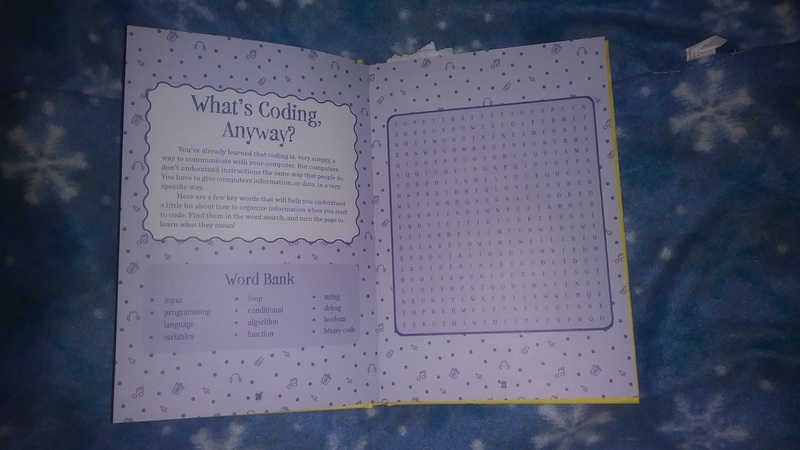 Now the Activity book is Called Girls who Code: Code it! Create It! 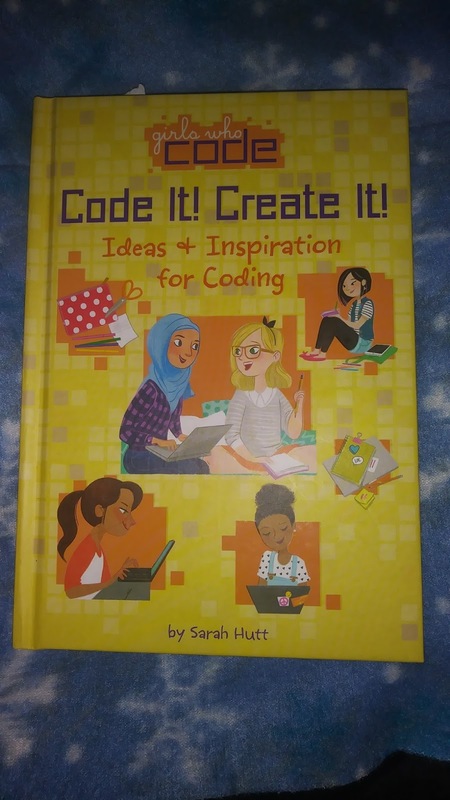 Ideas and Inspiration for coding. This book holds a small dictionary of Coding terms like Programming Language, Variables, Java, Html, and CSS which are all terms you used when coding. For young kids this is great to learn early, I personally learn these terms in college. It also has a short section about three famous women who help make computers what they are today. It also has Crossword puzzles, Mazes, and Writing spaces for plenty of ideas for coding. The activities really teach young girls on how to start getting into coding. I rated both of the books 4 stars because they are great for little kids especially girls. These are great books for kids who want to find a place to start learning about computers. The Storybook Team Bff actually teaches young kids how to work together as a team. Which I love those young kids are learning team effort at a young age, it makes it less awkward for them later in life. I love how all of the girls rush to help Sophia throughout the book and vice versus. Also, My eight and ten years love these books too so I will be continuing with the series for them. The Series reminds me of a younger kid “Baby Sitter Club” but way cooler. The one thing I didn’t like in this book is the fact that Sophia parents demand so much of her, with everything at home. They never seem to respect the fact that she has her own life and responsibilities at school and to friends which is also important to be a well-rounded child. As for the activity book, I thought that was so cool. I really love the mazes, puzzles and web design ideas in the book. I also love that they had put actual terms from web coding in the book along with information about famous females who help computers become more important. I just love the activity book so much and my Eight-year-old is always begging me to print her copies of activities from the book. I hope you all check out this series, especially if you have young kids who love computers. I think this is a great series not only for young girls but also young boys. But I really did enjoy everything else about this series and I can’t wait to read more of these books with my kids. As always all of the information for the author, books and my social media will be listed below. Code It ! Create It !